There are three crucial stages of editing. Each phase might require one draft, or it may require several. It’s important to go through each stage in order because of the nature of the kinds of things they address in a manuscript. More on that at the end. Stage one is the Structural Critique. This addresses the types of problems a developmental or substantive editor would tackle. It has to do with the plot, the flow of the protagonist’s emotional arc, and the overall cause and effect of each scene. It’s important to do a structural critique first because it will result in the most substantive changes – scenes needing to be rewritten, minor characters being removed or combined, locating plot holes and filling them in, tracking what has been revealed to the reader and if anything was missed or if too much was shown too soon, and the impact of scenes regarding the overall tension of the narrative. This stage addresses story pacing in a very hands-on way – the quickness versus slowness of the narrative through each scene, whether it slows down to let the reader linger in an emotion with the protagonist or if it speeds up to ratchet the tension toward a breakneck pace because the protagonist is fighting against time and you want to have the reader feeling as though they’re racing alongside them with a lot happening in a short amount of pages. Stage two is Line Editing and Micro Edits. This stage is largely about cleaning up all the changes from the first stage. When you rewrite scenes or combine characters, the differences need to stay consistent throughout the story. Contradictions will cause readers to be confused, at best, or at worst to put down the book. All the changes that were done during the Structural Critique stage created a butterfly-effect that the line edits and micro edits will catch and smooth over. It will also catch repetitive content, such as overused metaphors or your protagonist’s bad habit of lingering on a thought for more than a paragraph or two. Anything that was glossed over in the Structural Critique needs to be addressed during this stage – additional research for whatever might need it, evaluating if a character has remained consistent, being mindful if anything was written in as a coincidence rather than built in properly (the Pixar rule: coincidences can get your characters into trouble, but they shouldn’t be used to get them out of trouble), and whether or not the tone and narrative voice remains consistent throughout the story. Finally, the last stage is the Copy Edit. This is where you address wording choices (skateboard vs skate-board), awkward sentence structure, and the overall beauty of the prose. The narrative voice is cleaned up and given a spit shine. POV changes that need smoothing over will be addressed in this stage. 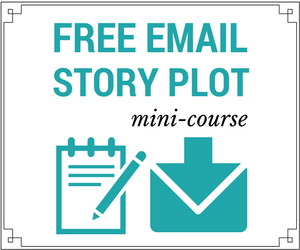 Now that your story has a solid foundation, this is where you show your reader that not only can you write a well thought-out plot, but also construct prose in a way that is engaging and enticing. Copy Edits effect if a reader will make it past the first page even more than the other stages, because poor writing gives little confidence to readers that the story will be worth their time. Proofreading isn’t really a stage of editing, but it will be the last thing done to a manuscript. It catches the kind of small errors in spelling and grammar that can blend into the background when other things are being addressed. One key reason to do these stages in order (after you finish the first draft) is to avoid spending extra time on prose that will be changed or rewritten and not at all in the final draft at all. This will help avoid a trap that many writers, especially newer writers, can fall into – they copy edit and proofread their first draft before showing it to a substantive editor, wanting to make their prose flawless. When faced with needing to rewrite scenes, it can be that much more difficult to let go of older, no-longer-needed prose because of the time invested to make it beautiful. Wanting to establish your narrative voice is one thing, and something I would encourage, but to define it so rigidly that it seems impossible to change even a single sentence is a mistake that absolutely must be avoided. And one of the easiest ways to avoid it is to start with a Structural Critique before doing anything resembling a Copy Edit. Have you ever been faced with a decision to remove a favorite scene from a book? What would you do if an editor ever recommended it (assuming they will do so by giving concrete reasons relating to story flow, narrative clarity, and reader enjoyment)? 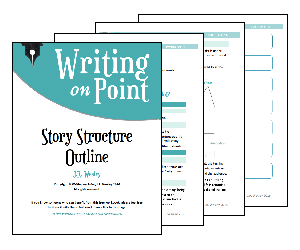 Have you ever used a story outline to try and avoid major plot holes, and does it work? Do you think combining minor characters would be easy or difficult? The comments are always open.